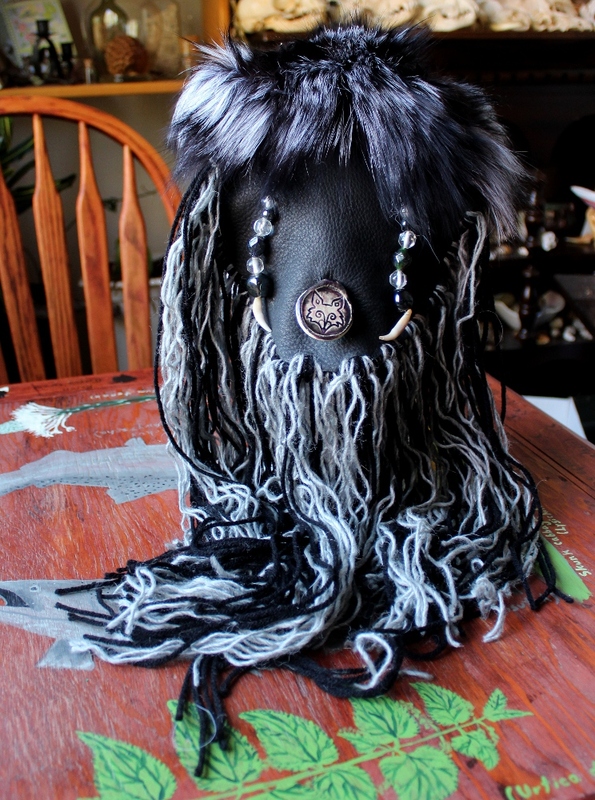 Here’s one of my elaborately decorated headdresses, perfect for dancing, costuming, and more! 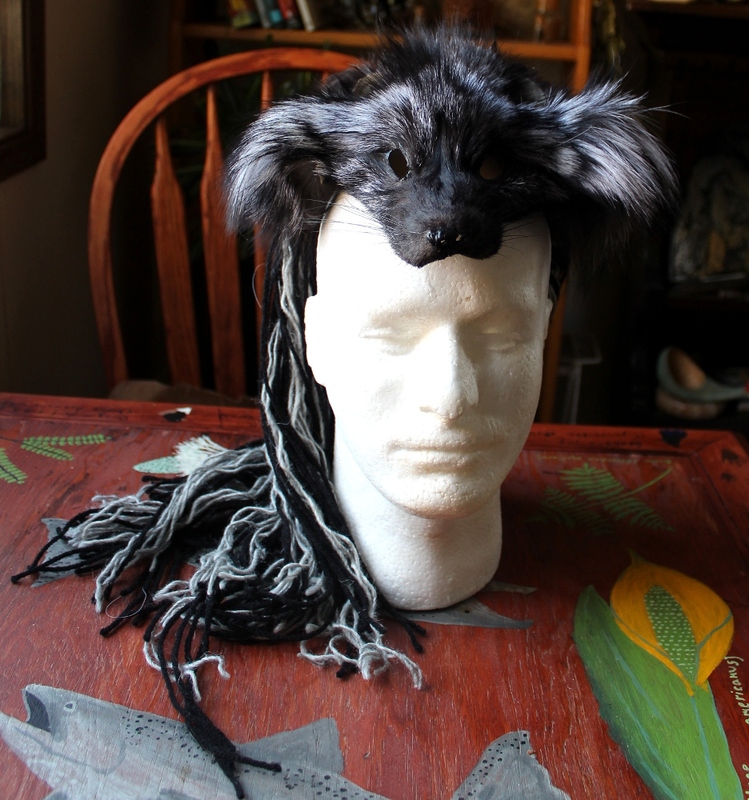 The base is a carefully reshaped and detailed silver fox face from garment scrap; the ears were damaged, but perked up beautifully with a little extra work. 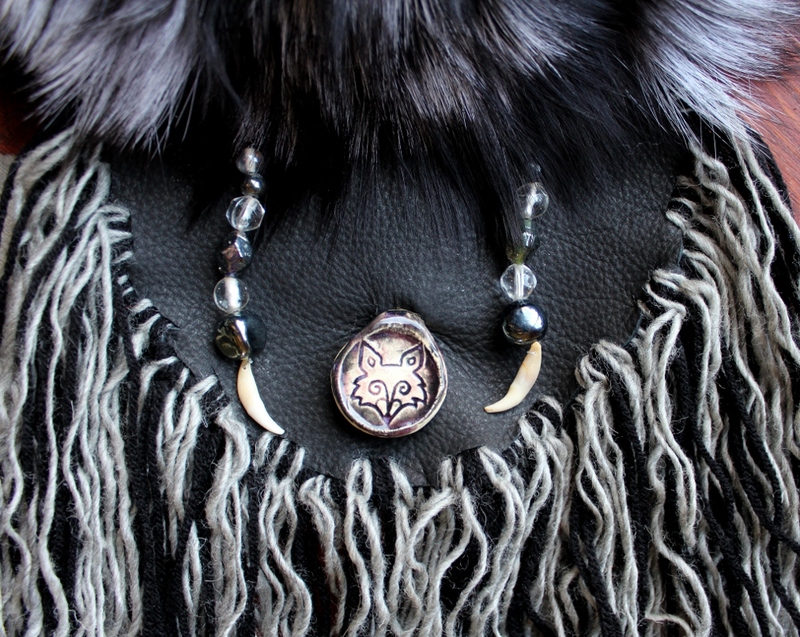 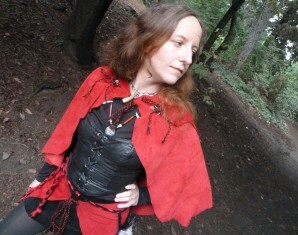 The backpiece centers on a panel of black secondhand leather, adorned with a handmade ceramic fox face pendant made by another artist, and dangles made from red fox teeth and secondhand glass beads. 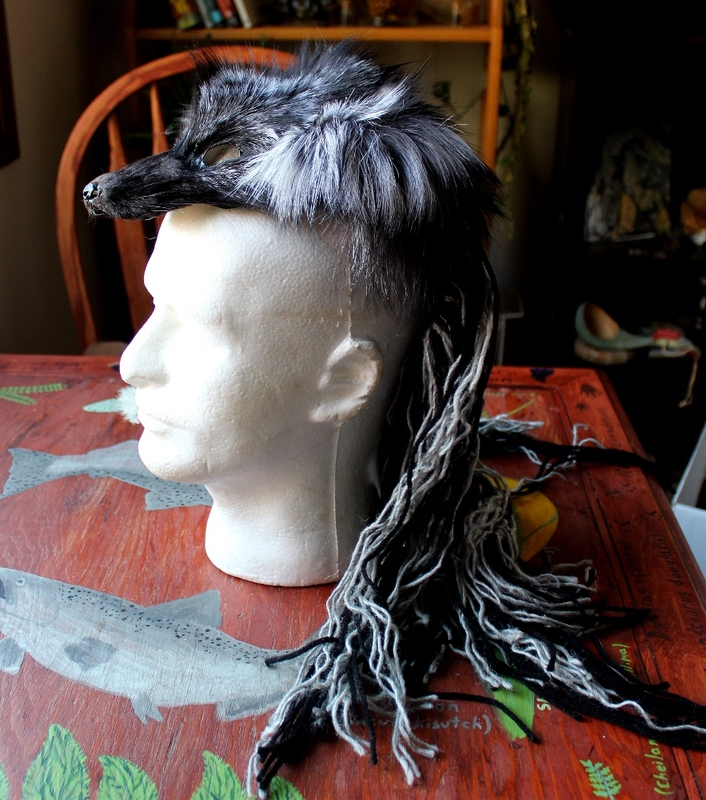 The edge of the leather carries a fringe made from dozens of strands of black and gray yarn, each one individually seated in the leather in a most painstaking process. 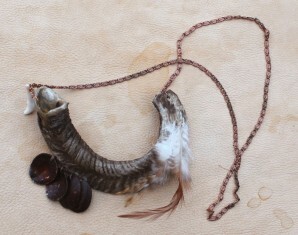 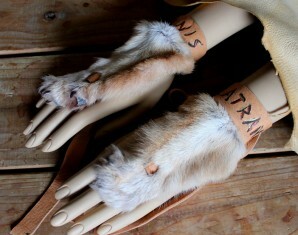 The headdress has a pair of barrettes on the underside of the fox face to hold it securely in the wearer’s hair. 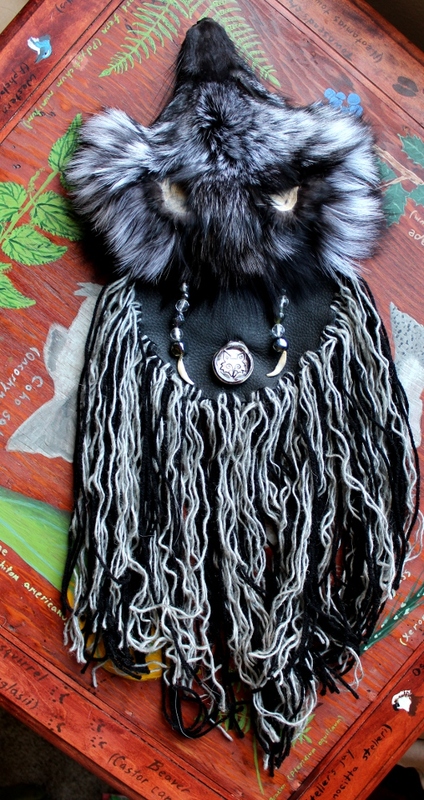 For all its adornment, this headdress is quite lightweight and can be worn comfortably for hours.